Don’t Miss Creative Knitting Fall 2013! 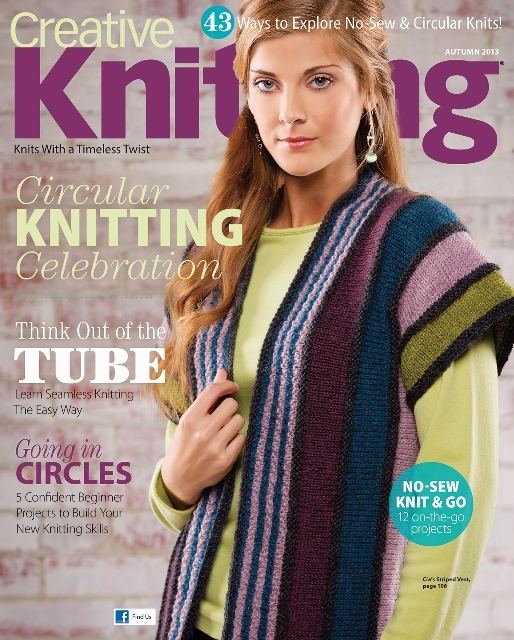 On newsstands soon– you will see the latest issue of Creative Knitting Fall 2013. This is a special issue for us as it features Plymouth Yarn Galway 100% wool , made in Peru, for the cover project. Open to page 104 and you will see our Design Director Extraordinaire, Cia and designer Vanessa. It also contains other designs created with Plymouth Yarns! 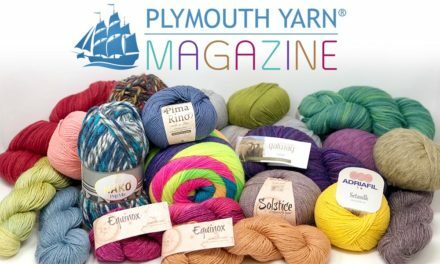 Stay tuned next week to the Plymouth Yarn Ravelry Group for a special promotion (the hint is-we really hope you like that vest on the cover). If you haven’t joined to conversation in our group, now is the perfect time to start! 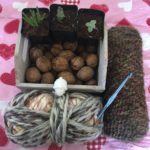 Happy Knitting and Crocheting! PreviousA Booth With A View! NextOne Day Only Giveaway-See details here! This yarn is perfect for making a showcase top — like something to wear on a special night out. It produces a glamorous effect. As a novelty yarn it is georgous — not itchy so can be worn next to the skin. I will be making tank tops and blouses with this. 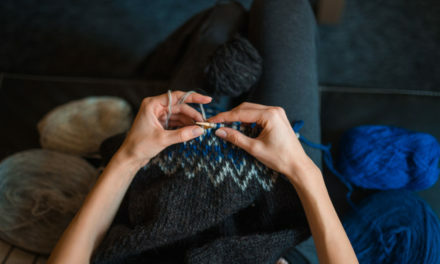 The only drawback is the slipperiness of it – the best way to roll into skeins is to roll it around something — such as a paper towel tube. This will prevent slipping and knotting.